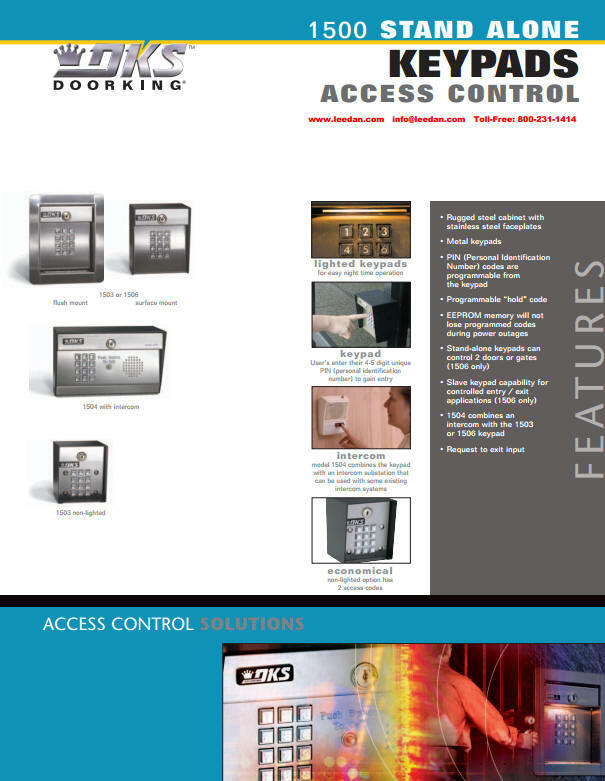 The DKS 1500 series family of keypads provides access control for virtually any application where digital code entry is desired and they are available for stand-alone applications or for connection to an access controller. 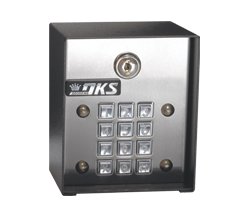 These vandal resistant keypads (except 1509) use stainless steel faceplates, galvanized steel sub-plates and are housed in a rugged steel cabinet. The 1503 and 1506 series keypads are available in surface or flush mount styles. The 1509 is designed for indoor applications and mounts in a single-gang electrical box. The 1504 model adds an intercom substation to the 1503 or 1506 series allowing voice communication via connection to a master intercom station. Lighted keypad models available for easy night time operation.